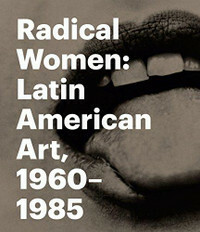 This stunning reappraisal offers long overdue recognition to the enormous contribution to the field of contemporary art of women artists in Latin America and those of Latino and Chicano heritage working during a pivotal time in history. Amidst the tumult and revolution that characterized the latter half of the 20th century in Latin America and the US, women artists were staking their claim in nearly every field. This wide ranging volume examines the work of more than 100 female artists with nearly 300 works in the fields of painting, sculpture, photography, video, performance art, and other experimental media. A series of thematic essays, arranged by country, address the cultural and political contexts in which these radical artists worked, while other essays address key issues such as feminism, art history, and the political body. Drawing its design and feel from the radical underground pamphlets, catalogs, and posters of the era, this is the first examination of a highly influential period in 20th-century art history.